As we distributed snacks for children at a Bible School program, we noticed a little boy who devoured his snack. Then he also ate the leftovers of the children at his table. Even after I gave him a bag of popcorn, he still wasn’t satisfied. As leaders, we were concerned as to why this little boy was so hungry. It occurred to me that we can be like that boy when it comes to our emotions. We look for ways to satisfy our deepest longings, but we never find what fully satisfies us. The prophet Isaiah invites those who are hungry and thirsty to “come, buy and eat” (Isaiah 55:1). But then he asks, “Why spend money on what is not bread, and your labor on what does not satisfy?” (v. 2). Isaiah is talking about more than just physical hunger here. God can satisfy our spiritual and emotional hunger through the promise of His presence. The “everlasting covenant” in verse 3 is a reminder of a promise God made to David in 2 Samuel 7:8–16. Through David’s family line, a Savior would come to reconnect people to God. Later, in John 6:35 and 7:37, Jesus extended the same invitation Isaiah gave, thus identifying Himself as the Savior foretold by Isaiah and other prophets. Hungry? God invites you to come and be filled in His presence. Father, I long to know You more. Only You can satisfy my deepest desires. Only God will satisfy our spiritual hunger. Jesus’s invitation in John 7:37 echoes the call of Isaiah 55:1–7. The setting is the Feast of Tabernacles, and one of the daily rituals of the feast was designed to point to the exodus of Israel from Egypt. On each of the seven days of the feast, the priest would perform a ritual by bringing a pitcher of water to the altar and pouring it out—a reminder of God’s provision of water in the wilderness. In John 7, it’s the last day of the feast, and it appears that at the moment when the priest is pouring out the water, Jesus declares, “Let anyone who is thirsty come to me and drink” (v. 37). Water satisfies. It quenches thirst. It meets our deepest needs—and Jesus declares Himself to be the source of that ultimate satisfaction. In what things might you be pursuing satisfaction other than in Christ? 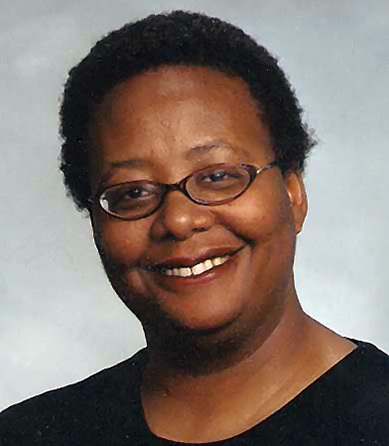 Linda Washington received a B.A. in English/Writing from Northwestern University in Evanston, Illinois, and an MFA from Vermont College of Fine Arts in Montpelier, Vermont. She has authored or co-authored fiction and nonfiction books for kids, teens, and adults, including God and Me (ages 10-12—Rainbow/Legacy Press/Rose Publishing) and The Soul of C.S. Lewis (with Jerry Root, Wayne Martindale, and others—Tyndale House).